Ready for some bad news? Here goes. If you had a child this year, figure on spending $245,340 to raise it. To put this another way, you could either buy a house or have a child. Of course, a house is never going to say I love you or crawl up on your lap for a nice snuggle. Something else that won’t crawl up on your lap for a nice snuggle is debt. And for many Americans, the cost of their debt will be even more than the cost of raising a child. 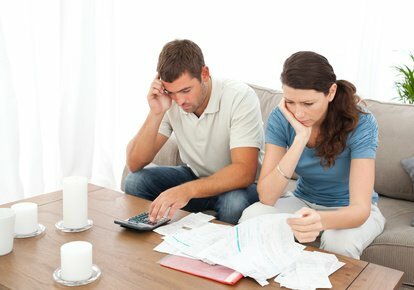 In fact, debt can cost them as much as $279,000 over the course of their lifetimes. How can we owe so much? Like it or not we live in a society that runs on credit. You get a mortgage, run up some credit card bills, sign up for a car loan and before you know it you’re in serious debt. Former Senator Everett Dickson once famously said that, “a billion here, a billion there and pretty soon you’re talking about real money.” You might not be dealing in billions of dollars but to paraphrase the quote, “a thousand here, a thousand there and pretty soon you’re talking about real debt.” The sad fact is that by the end of your life you may have paid banks, credit card companies and other lenders the equivalent of 10 years worth of your paychecks – based on the Social Security Administration’s median net compensation of $28,031 annually. Of course with “median,” remember that 50% make more than this and 50% make less. For the sake of this example, let’s suppose you have a 30-year fixed rate mortgage at 4.5%. Let’s also assume you never refinance it, which would mean new closing costs and starting all over again. But if you pay off this loan over the course of those 30 years, your interest alone would total just over $226,620.31. If you’re typical, you’ll own nine cars over the course of your lifetime – at least according to R. L. Polk & Co. If you don’t think this is true, take me as an example. I try to keep my cars as long as I can, and was absolutely stunned when I added up the number of cars I’ve owned and found I’m already at seven. And my wife has owned almost as many. Again, for the sake of the example, let’s say each car had an average loan balance of $22,750 at an interest rate of 6.075%, which is the average rate for both new and used cars. Let’s further assume that your loan had a term of 64 months. This would put the interest cost per vehicle at $4372.43. Add this up and you would be looking at total interest over the course of your lifetime of $39,351.87. Credit cards can be a real help when you use them sensibly. They’re a convenient way to keep from having to carry around a wad of money or to buy a large item when you don’t have the cash in hand to pay for it. I grant that not everyone carries credit cards but if you do, let’s say that you have an average balance of $2171.70 and an average interest rate of 15%. If so, that’s $13,030.20 in interest over a 40-year period. As you can see this all adds up very quickly and does not even include student loan debts, which is another form of debt that’s carried by 40 million Americans. If you live in an expensive city such as New York City or San Francisco and have a mortgage the interest on your mortgage alone will probably stagger you. On the other hand, if you live in a lower-cost area such as Omaha or Dallas and you’ve paid off your homes and cars and try to avoid credit card debt, your results may not be as shocking. However, for almost all of us, the cost of our debt will be much more than we realize. Of course, there’s another important factor besides the amount of your loan that you need to keep in mind when calculating your own lifetime cost of debt. It’s interest rates as they can have a huge impact on the amount you will pay. If you have low interest rate loans, they will cost you less over the course of your lifetime. To get lower interest rates, you’ll need to do some comparison shopping and maintain a high credit score. For example, if you go back to the example given above and have excellent credit you will pay $209,590 in interest while a person with bad credit would pay $369,054. That means a difference of nearly $160,000. That might not be enough to raise a child into adulthood but it should definitely be enough to send one through college. If you don’t think your credit score also plays a big part in what your debt will cost you over your lifetime, here’s an example of what it can mean. Given the fact that your credit score plays such an important part in how much your debt will cost you over the course of your lifetime, it’s important that you know what it is. There is only one place to get your true FICO score, which is on the website www.myfico.com. You can also get a version of your FICO score from either of the three credit reporting bureaus (Experian, Equifax and TransUnion) or from CreditKarma.com or CreditSesame.com. If you have a Discover Card you’re probably getting your credit score every month as part of your statement. The important thing is to get your credit score. If you learn you have a poor or fair score you have your work cut out for you. While there’s not much you can do about your credit history (how you handled credit in the past) you could at least work on your credit utilization, which is the amount of credit you’ve used vs. your total credit limit. As an example of this if you have a total credit limit of $10,000 and have used $5000 of it, your credit utilization would be 50%, and this would negatively affect your credit score. You could improve your credit utilization by either paying down your debts or getting an increase in your credit limit. While neither of these would be easy to do, it could be worth the effort as it should lead to a better credit score and this would help lower your lifetime cost of debt.